The application form is available on request via email to icrosse@itba.ie or available for downland across our social media platforms of Facebook ITBA Next Generation, Twitter @ITBAnextgen and Instagram itbanextgeneration. 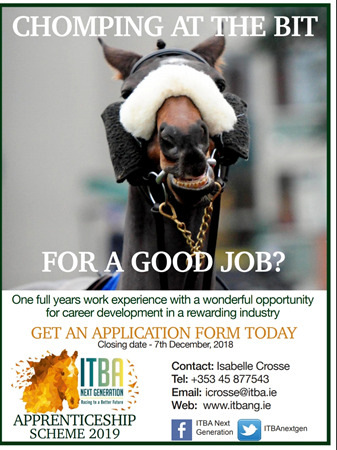 Completed application forms must be returned by email icrosse@itba.ie or by post to ITBA HQ, Greenhills, Kill, Co. Kildare. For further information please contact Isabelle Carroll on 045 877543 or email icrosse@itba.ie.